It's been more than a decade since Sean Parker, now a billionaire, blew up the music industry by co-founding Napster. Yet the industry is still going through a painful transition. Parker, 35, launched Napster, a music file sharing service, when he was just 19. He went on to become president at Facebook (FB) and then an investor at influential Silicon Valley firm Founders Fund. Most recently, he has focused on being a philanthropist and launched the Parker Foundation with a $600 million investment. But he hasn't abandoned his music roots. A member of Spotify's board, he remains close to the industry and has opinions about how things will shake out. "This is an industry that is going through an incredibly agonizing and long transition," Parker said in an interview with CNNMoney this week at his Los Angeles mansion. In fact, 2014 was the first year that the music industry brought in the same proportion of revenues from digital channels as physical format sales. The upheaval, however, doesn't mean that any one company will rise above the rest. "Music as a service is something where there can be multiple winners," said Parker. "I don't think it's a winner-take-all market in a way that some of these other technology companies have been." That differs from how competition fares in the social media landscape. One powerful network can cause a "lock-in," he said, referring to Facebook's eclipse of MySpace. But music doesn't suffer the same "network effects" that social networks do. Nonetheless, Parker said one business model has won out: selling music by subscription -- rather than downloads. "It's pretty clear at this point that the subscription model has won, and you see that now with Apple Music," Parker said. That's despite what Taylor Swift might say. "Taylor Swift is a bit of an anomaly in the music industry in the sense that she's still able to sell a lot of downloads. She's still able to sell, in some parts of the country, CDs, " he said. Very few artists, however, have the kind of loyal fan base that Swift does, purchasing CDs in droves. "She sort of defies gravity," said Parker. 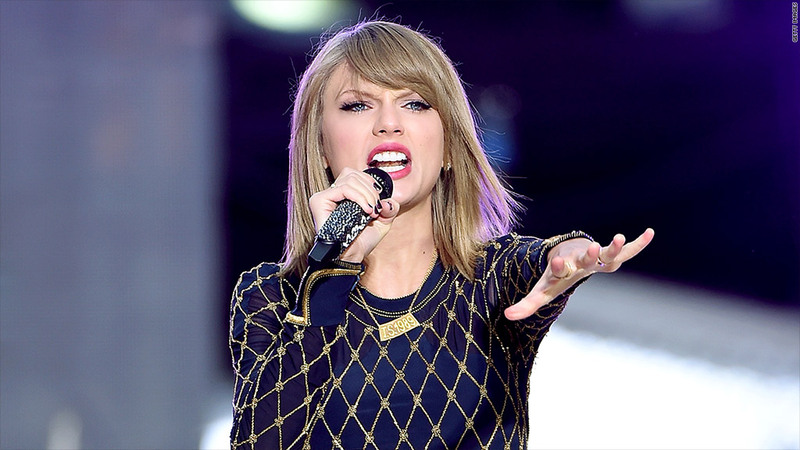 "The business logic that applies to Taylor Swift doesn't apply to a lot of other artists." Parker said there are, in fact, a lot of artists who do "very well" by streaming their music on services like Spotify. "And actually, Taylor Swift is one of them. She does very well on streaming services. If she did really well on Spotify, she'll do really well in Apple Music."